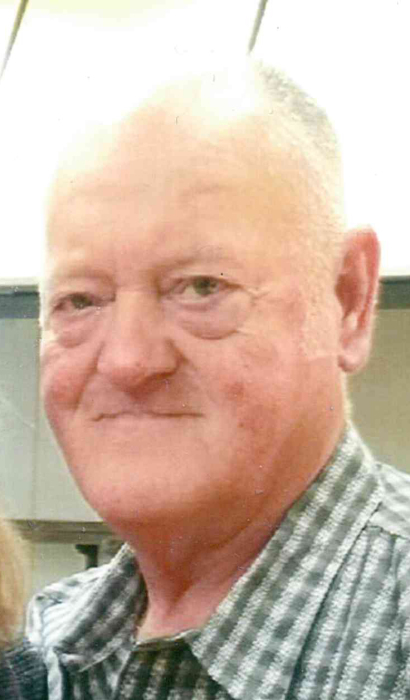 Mr. Luther Messer, Jr. age 70, of Earlville, Illinois passed away Saturday, July 21, 2018 at OSF St. Anthony Medical Center in Rockford, Illinois surrounded by his loving family. Luther was born August 9, 1947 in Greenroad, Kentucky, the son of Luther and Martha (Mills) Messer. He married Dora Mills April 25, 1965 in Fount, Kentucky. He attended the Friendly Welcome Baptist Church in Earlville. Luther was employed by Joseph Behr in Rockford for 12 years, Del Monte in Mendota for 6 years, and the Illinois Department of Transportation for 4 years as well as Strong and Strong in Earlville and Harold Patterson Lumber in Flat Lick, KY. He retired from Motor Wheel in Mendota as a fork lift operator. He was a member of the Earlville Fire Department and Ambulance for 13 years. Other memberships included the Ottawa Moose Lodge and the Ottawa Lions Club. In his leisure, Luther enjoyed gardening, hunting, fishing, and woodworking. He was a great storyteller and loved country music. He was preceded in death by a daughter, Janet Billings; a brother, Johnny Messer; and two sisters, Cledia Jackson and Marie Charles. He is survived by his wife of, Dora, of Earlville, Illinois, daughter, Margaret (Jim) Ve Zain of Earlville, Illinois, one granddaughter, Ashley (Dave) Cramer of Earlville, Illinois, son in-law, Dave Billings, of Ottawa, Illinois, brothers, Arvil (Della Mae) Messer of Hinkle, Kentucky, Jimmy (Christine) Messer and Floyd (Faye) Messer, both of Girdler, KY, Dexter (Sue) Messer of Hinkle, Kentucky, and Chester Messer of Cannon, Kentucky; a sister, Helen Haines of Cannon, Kentucky; his goddaughter, Heather Finnegan, of Oswego, Illinois, as well as many nieces and nephews. Celebration of Life services will be held Tuesday, July 24, 2018 at 7:00 p.m. at Gladfelter Funeral Home in Ottawa, Illinois with Pastor John Pickens officiating. Funeral Services for Mr. Luther Messer, Jr. will be held on Friday, July 27, 2018 at 12:00 p.m. in the Cobb-Hampton Funeral Home Chapel in Barbourville, Kentucky. Pallbearers will be, Jim VeZain, Dave Billings, Dave Cramer, Dale Bunch, Derrick Jordan and Dexter Messer. Burial will follow in the Messer Cemetery, Greenroad, Kentucky. Cobb-Hampton Funeral Home is in charge of local arrangements. Friends may call at the Cobb-Hampton Funeral Home Chapel on Friday, July 27, 2018 from 10:00 a.m. until the hour of service at 12:00 p.m.
To the Messer family, the staff of the Cobb-Hampton Funeral Home would like to offer you our heartfelt sympathy during your time of bereavement.